Two security officers have been suspended in Sweden after footage emerged of them removing a heavily pregnant woman from an underground train in Stockholm and pinning her down on a bench. The incident happened after the woman, travelling with her young daughter, was allegedly caught without a ticket. 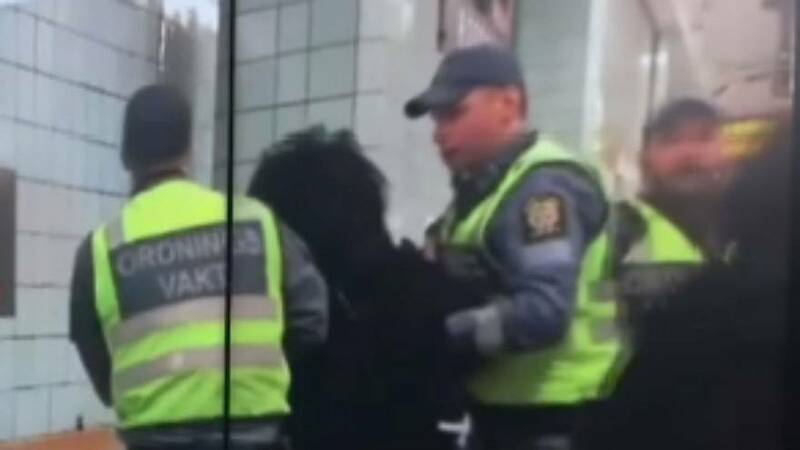 In the footage, which has been widely shared on social media, the guards are seen removing her from the train at Hotorget metro station in central Stockholm before pinning her down on a bench. The woman was taken to hospital following the incident but has since returned home, according to reports. The video sparked debate on social media, with some saying the incident was racially motivated. “When she was going to be escorted from the subway by our public security officers she started to make resistance,” it said. SL said the two security guards had been “taken off duty” while the incident is investigated. Click on the video player above to get the full story from Euronews' The Cube.